LotusTalk - The Lotus Cars Community > Lotus Discussions > Other Lotus Models > What did you do with your Classic Lotus today? 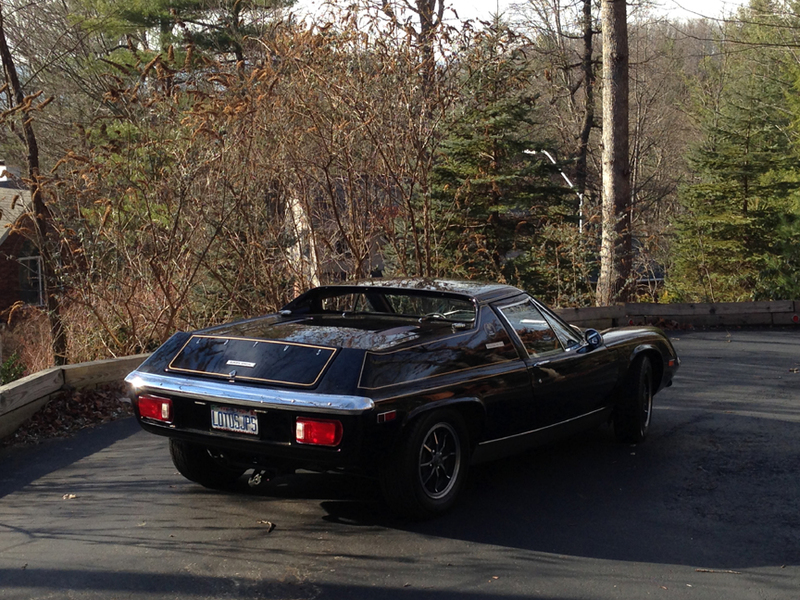 What did you do with your Classic Lotus today? Sometimes we come in after a drive and it was such a good experience you just need to share. low2ground started a thread for Evora adventures and joys. My son and I just did maybe 20 miles around town including a few interstate miles. The periodic exercise that Black Beauty needs. And the time capsule we enjoy so much. Basically a fine drive. The sounds and sights and smells and rewards and trials of an iconic British sports car. As we approached home I wondered if there were another Europa on the road in North America. Maybe. Probably a few in the world at that moment. But maybe not. Maybe just us. This really deserves a reply, just as a Europa needs to be driven. No, yours was not the only Europa on the road in North America today. And I am glad to hear that neither was mine. I have had mine out fro two straight days, for quite varying purposes. Yesterday it was out all day on dispaly at the Langley Cruise-In, one of the larger show & shine events in Western Canada. I'm estimating the show at about 1100 cars, down a bit from the 1300+ cars of previous years, but still the typical mix of over 95% muscle cars and street rods. 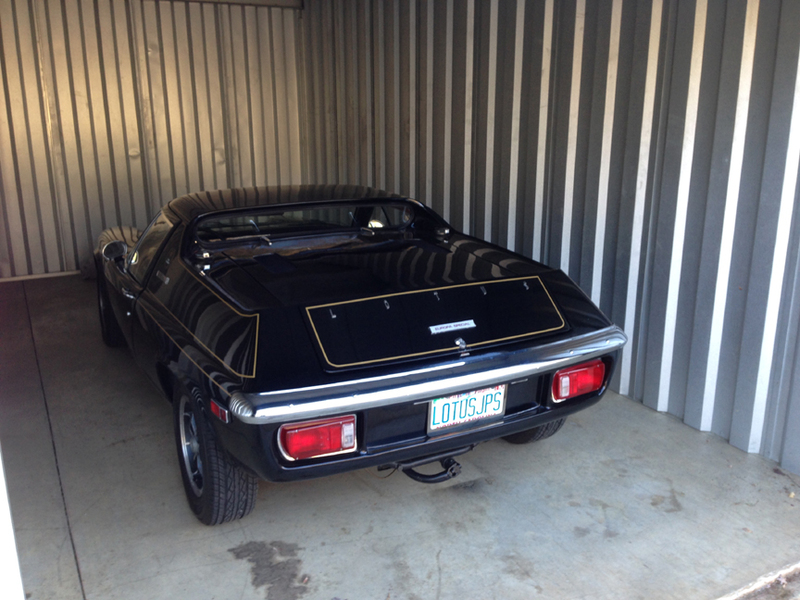 There was one other Lotus there, an S4S belonging to a friend who is also a denizen of LT. Both drew a lot of attention. Today was a shorter drive as my wife and I took the Europa down to the beach for fish & chips. How better to enjoy such a car as summer winds down. Sunday was spent polishing the Seven for a show next weekend. Driving a Europa would have been more fun. So glad you asked! Met up with more than a few Lotus owners. Beautiful drive to the event, great drive afterwards, lots of good conversations with fellow Lotus fans at our get-together. I highly recommend organizing one or two of these per year, in your location. Love the Sprint!!! I am really envious! About a 15 mile drive and then into a very nearby storage unit for a while. Chance of snow next Wednesday. She sounded good danced about lightly as these little treasures from the past can. I need the warm home garage to work on the Elise a bit, one more track weekend this season. 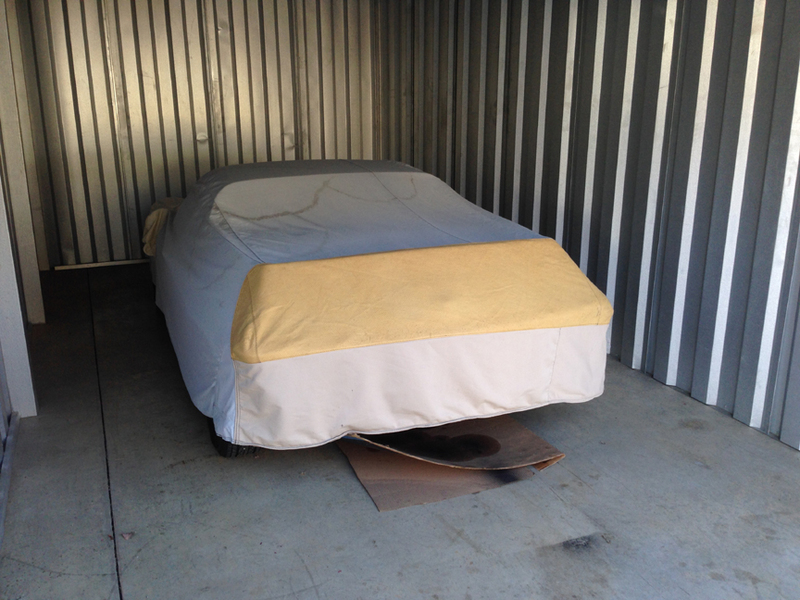 Then the Elise will rest in the storage spot till Spring, and the Europa and her descendent Evora will have the garage. Nothing today - I used the Elise, the Elan is in the paint shop. Yesterday I drove the Europa home from the place I keep it, gave it a wash, checked liquids and tyre pressures, then drove it back again. I'll be taking it to a Club meeting tomorrow. This was a weekend ago, but it counts! Got all 3 of the Lotuses out and went for a nice drive and breakfast with the family. I haven't driven the Europa for awhile and it was the best feeling, I forgot how great the car is! Saturday I took the Europa out to a local British car club tech session. Indeed it was bodacious to get it on the road. Very nice Europa! Love the gold leaf scheme. I love driving my Europa, its my favorite! It puts a smile on my face every time I drive it, the lightness of the Europa makes it so much more of a thrill to drive than the others. Don't get me wrong all of them put a smile on my face but the Europa is the best! So, is there some trick here that only smart people can see 72Eur? Nice day, warm 48 degrees, clear, no salt on roads yet. Another 15 mile circuit, various speeds including some on Interste 40, some on Blue Ridge Parkway. Battery strong but still benefitted from a boost. Not quick to start after a month but OK. Achieved a good 1000 rpm idle in about 5 minutes Air pressures only a pound under, but has been in 20s last few nights. So maybe she's up for the season. You never know in Asheville what sort of weather you can get in Winter. Think I'll syphon out all the gas and add a quarter tank(s) of Premium with stabilizer. Old cover, with plenty cardboard underneath. Sunny day in the 50s. Some road crud lingers but had to get her out today. Hooked up the jumper cables. She was lazy to start but no worse than would expect. Once fired all was good. Did maybe 15 miles as the roads do still offer some winter crud. What a sense of freedom. To gain safety and whatever else we have in this time, we have given up a good bit of fun. Yes it is a bit scary to ride around inside a kayak at 70 mph in traffic but oh so balanced and responsive. Just plain free. Gf was out riding today. 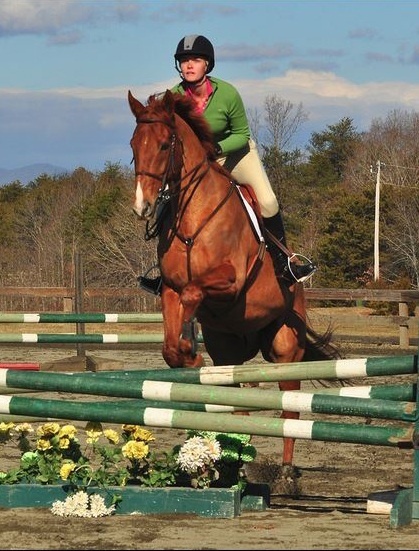 I asked her how much her steed weighs. "About the same as your car I guess"
Today I tossed the new tires in the back of my Honda to drop off at the shop that is refinishing my Lotus alloys. That JPS Europa is a drooler. Back in law school a friend of mine had one that was turbocharged. It was just an old beat up car by then, and turbocharging wasn't exactly a textbook art, so it ran on about 100 octane fuel and lasted a few hundred miles between engine detonations. But blasting around downtown St. Louis in that thing is an indelible memory. Seriously, there will be (more) efforts before too long to contain her leaks. It is the original motor/trans setup. A classic British car rewards all the senses. Olfactory definitely included! You know you still have at least some of the various fluids on board because you can smell the evidence! I grew up on Italian cars so none of that is news. Nursed a Fiat 131 along for seven years until I offloaded it on someone, wanted but never got an X1/9, then bought an Alfa GTV6 which was probably assembled in Russia. Went back in time to a '72 Alfa GTV 1750 which rusted when it didn't leak. Ah the good old days.